I have been busy as a been bea bee this morning. 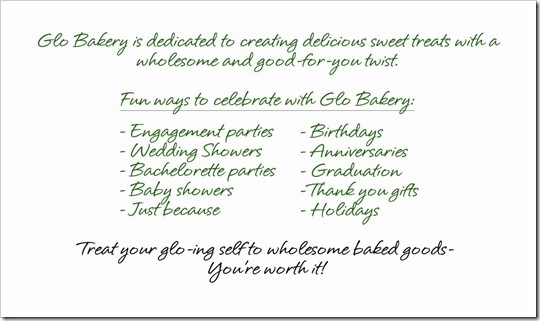 There are lots of fun things going on with Glo Bakery and Oh She Glows right now. It is quite hard to keep up! 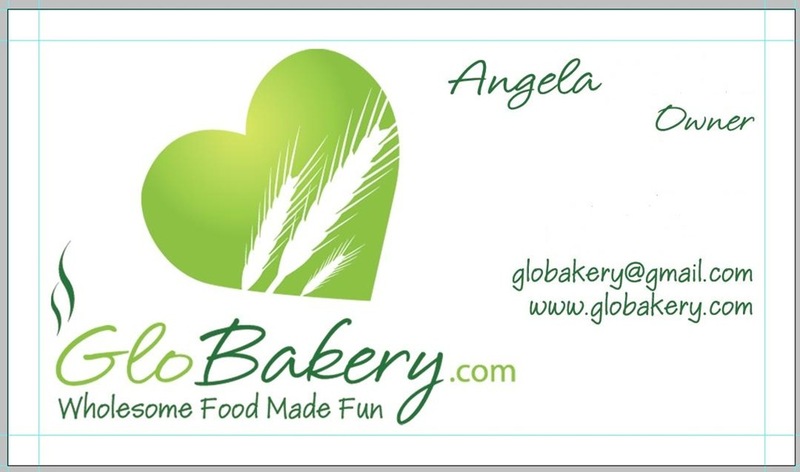 Last night Eric and I worked on the design of the Glo Bakery business cards! Thanks to all of your fabulous tips, we decided to download the template and design the card from scratch in Photoshop. This was not an easy task! After pulling out our hair for several hours until past midnight, we finally came up with a 1st draft.This now explains why there was no typical nightly post last night! Note: I removed my last name and contact information just for safety purposes. 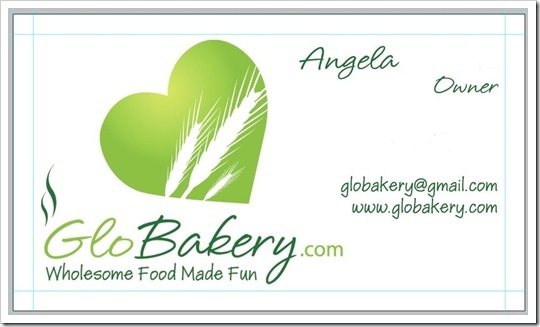 I have been working on the Glo Bakery logo (shown above) to try to make it ‘pop’ off the page a bit more. Cue Adobe Photoshop once again. I am finally getting pretty decent at using Photoshop. Slowly but surely I am understanding the layers and all the different functions! It doesn’t pop off the page enough. I need to still figure out a way to make it more visible. Any ideas/thoughts? I haven’t gotten my workout in yet, but I did update the BBBC Challenge for today as well as my workout log on the Run page. Progress, right?? 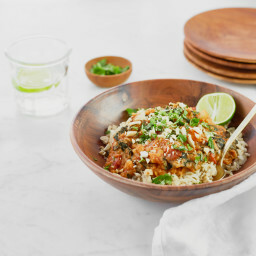 Now I am off to the kitchen to create another order– stay tuned tonight for pictures! I will also be showing you the results of making Glo Bars in my new candy bar molds. Find out tonight if it worked! 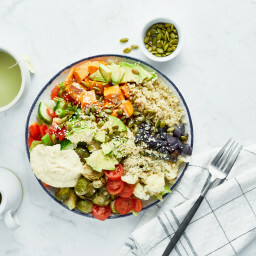 After I create my order I will be doing my exercise for the day. It is super beautiful outside today with expected highs around 13C. I might get outside for a walk/run- first of the year. We will see though. I am a bit nervous about what the nasty pavement might to to my joints post-injury. 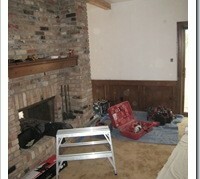 The not so glamorous side of running a business! Who Should Win The Fundraising Contest? VOTE NOW! What if you do a little Photoshop work to the header itself. Maybe mute the greens of the grass, blurring the lines slightly. That might make your logo pop more. Your graphics look awesome! No suggestions/the look perfect as they are! I think if you include some other color (other than diff shades of green) will help bring out the logo more … maybe light brown/’wheat’ colored font? maybe you could soften the green in the picture of you and Eric in the header, so the green logo would pop more? OR make the logo on the header a white heart with green wheat instead of the other way around? That way, it’s the same logo just with the colors switched. Some small ideas on the logo (I have a minor design background). I love it and think it looks great (awesome job!). But I find that my eye is being distracted by the squiggly lines above the word “Glo.” Perhaps remove it? Then the eye will immediately be drawn to that cute heart/wheat graphic. And Cecilia’s idea to make the font a light golden wheat color is a great idea. Maybe give it a try with the company name only and leave the tag line the green color? Other than that, I really like the logo and think you have a knack for this! How about flipping the colors on the Glo Bakery header? I think that’d bring it out! But I personally think it looks nice the way it is. :P It stands out to me. I absolutely adore your logo, btw. It’s freakin’ awesome. I agree about the squigglies – they distract me, too! I like someones suggestion of switching the green and white of the heart and wheat. I also think you should try putting a small white stroke around the text, between 1-3, depends on the size of your font! First off whoever “lol” is, is a complete loser with nothing better to do! Seriously, get a life, or a job! I think if you outline the heart in white, and then outline the font in white too, that may help. Possibly using an alternate pic as the background, or changing it to balck an white is a good idea I think. There’s a lot of texturizing you can do with photoshop that wouldn’t require switching your colors on your logo. Also, I can help you set up an email address thats [email protected] instead of the gmail one! Let me know if you’d like help, I get bored a lot, and my fiance is working late tonight! for the header, maybe make the heart white? for popping purposes, just a thought. Maybe you could add some white aura around the green heart so it looks like it’s “glowing” it would blend more. 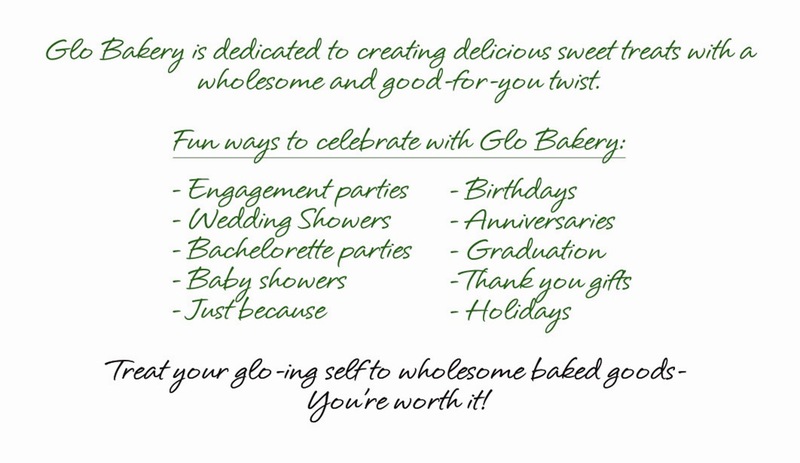 Also, in the Glo Bakery logo you could replace the dark green color with white to make everything tie together better. Good luck! Awesome logo. Maybe if the picture wasn’t also green it would stand out more? And maybe you should have a picture of food rather than a picture of you. It’s a beautiful pic of you and Eric, but it is a bakery so maybe one of your yummy products would be more enticing to potential buyers? I looked at it again and you should also do a lower case “s” on Wedding Showers since you only capitalized the first word on everything else. That heart needs to be a different color! I’m sorry to say it … I like that it’s a green heart on your logo, but with that background of you two in the field – its washed right out. Tough decisions. The more I look at it – it’s you and Eric that are “popping” off the page – NOT the logo. I must agree…a pic of you and your products or just your products is a great idea! I LOVE the logo and designs! I think you are really creative! Your logo and lettering our outlined in black- but should be outlined in white or yellow on that background. I am not sure, but think most logos are a pinch flexible- you alter them a bit depending on the background you want to lay them on. I think the idea is super-cute!! It won’t be long before you need a fully time employee!